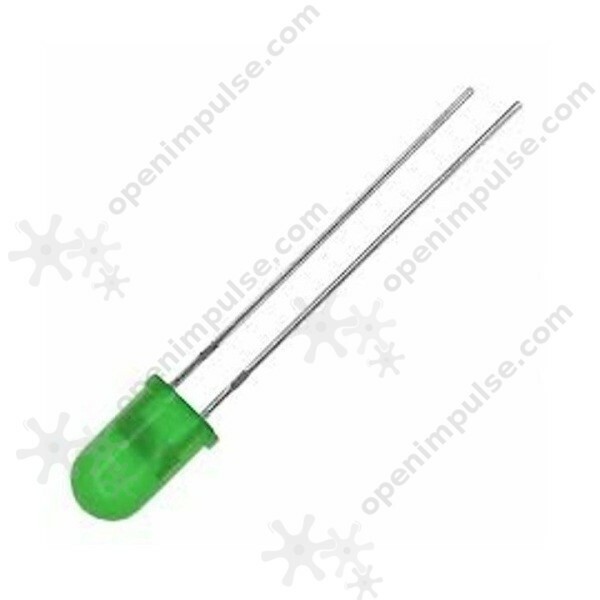 These 5 mm green LEDs are great for your new projects and for prototyping. With this pack, you'll never be short of LEDs. 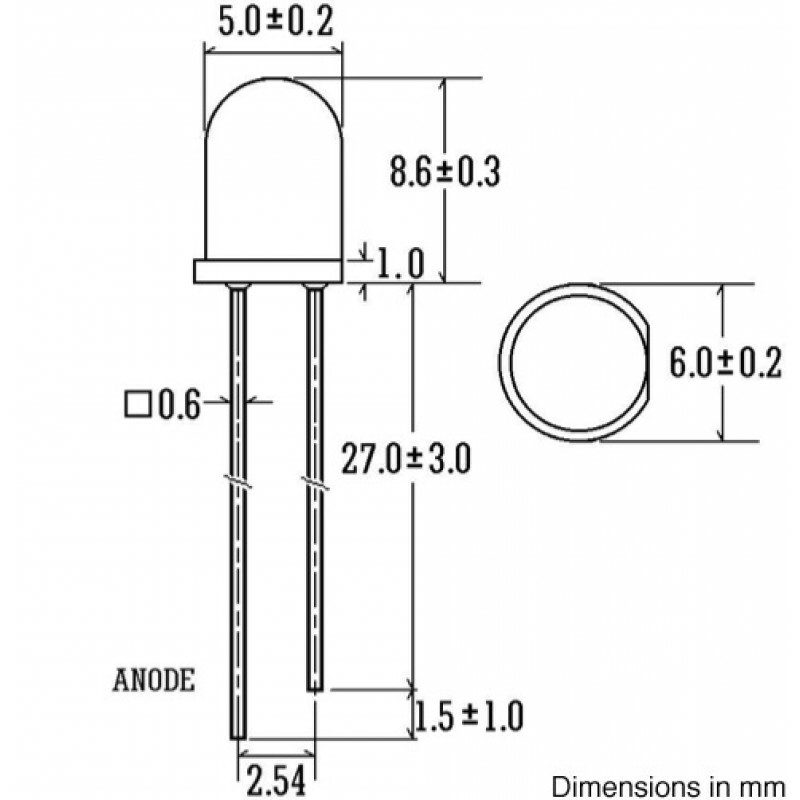 These 5 mm green LEDs are often used as indicators showing that the device is correctly powered. The diffused lens gives a wider viewing angle of light.